Winter, spring, summer fall-- this four-bedroom house has it all! Everything you need to lead the good life at Pine Mountain Lake. The great open floor plan features cherry wood floors, custom built ins, plus a bay window breakfast nook and a separate formal dining room. Just off of the breakfast nook is a half bath, a large walk-in pantry/storage room and a separate laundry room to your left. the living room has wood flooring, a fireplace and custom built-ins for your media components. A slider opens to the front deck, where you can soak in the peek of the lake views. Down the hall are three bedrooms to your left. The master suite is on your right and the end of the hall. The bedroom slider opens to the front deck. The master on suite has dual sinks, a spacious tub and a linen storage cabinet. 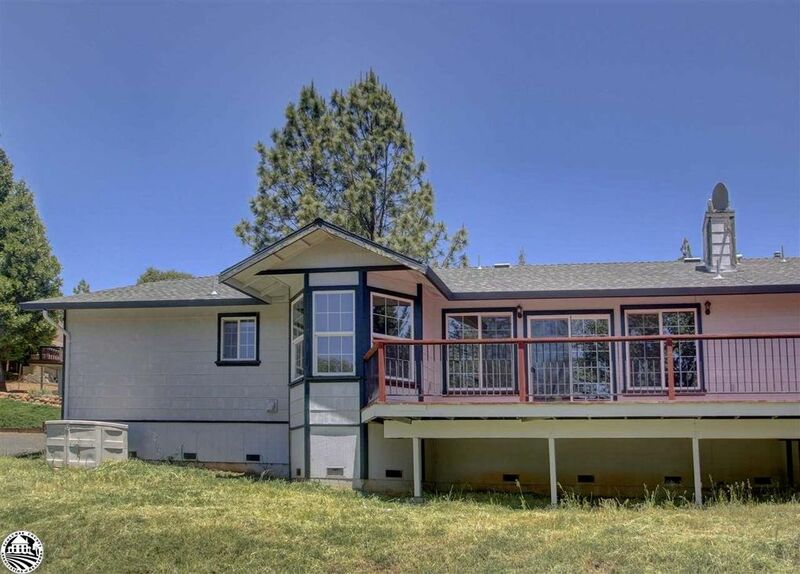 This fine home is located in the gated resort community of Pine Mountain Lake and just a 30 minute drive to Yosemite National Park Gate. PML amenities include a recreational lake, 18 hole championship mountain golf course with pro shop, country club with fine dining and cocktail lounge, equestrian center, tennis and pickle ball, swimming pool, archery, and more. This home is perfect for full time living or a second home with potential for vacation rental income. It is located near PML Fisherman's Cove and tennis courts.